Colleen A. Youngdahl is an Arkansas native and a partner at Tinsley & Youngdahl, PLLC. Colleen's specialties include FELA, Union and Labor Law, Criminal Defense and Campaign Finance/Election Law. The Youngdahl family has practiced law in Arkansas since the 1950s, and Colleen continues the Youngdahl legacy by fighting for the rights of American workers. In 2007, Colleen earned her Bachelor of Arts degree from Wellesley College in Massachusetts with a double-major in Spanish and Peace & Justice Studies. While attending Wellesley College, Colleen spent the fall semester of her junior year abroad in Barcelona, Spain where she studied Spanish at the Universitat Autònoma de Barcelona. Now as a practicing attorney, Colleen combines her ability to speak Spanish with a tremendous passion for Hispanic legal services, and regularly represents Spanish-speaking clients. Llámame para una consultación gratis. After graduating from Wellesley College, Colleen joined the AmeriCorps VISTA program and worked at ACCION USA to empower low- to moderate-income business owners through access to capital and financial education. After only six months Colleen was promoted to the position of Client Intake Manager, where she managed the organization's intake of loan applications throughout the United States and Puerto Rico until she left to attend law school. In 2012, Colleen graduated from Northeastern University School of Law in Boston, Massachusetts. During law school, Colleen completed four internships and spent over 1,500 hours learning the practice of law. For her last year of law school, Colleen moved to Little Rock to attend the UALR William H. Bowen School of Law. In law school, Colleen competed on the Labor and Employment Mock Trial team, and spent time volunteering for Hispanic rights organizations. After graduating from law school, Colleen passed the Arkansas Bar and co-founded the law firm of Tinsley & Youngdahl, PLLC with Jordan B. Tinsley. Colleen aggressively represents the interests of her clients and seeks to uphold the values of equality and justice through the practice of law. The Arkansas Public Defender Commission has certified Colleen for appointment to represent criminal defendants charged with certain crimes. Colleen is admitted to practice in Arkansas and the United States District Courts for the Eastern and Western Districts of Arkansas. 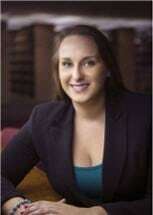 Colleen is also "Of Counsel" for the Youngdahl Law Firm, P.C., located in Houston, TX.